Tracing the life of a renowned icon painter, the second feature by Andrei Tarkovsky vividly conjures the murky world of medieval Russia. This dreamlike and remarkably tactile film follows Andrei Rublev as he passes through a series of poetically linked scenes-snow falls inside an unfinished church, naked pagans stream through a thicket during a torchlit ritual, a boy oversees the clearing away of muddy earth for the forging of a gigantic bell-gradually emerging as a man struggling mightily to preserve his creative and religious integrity. 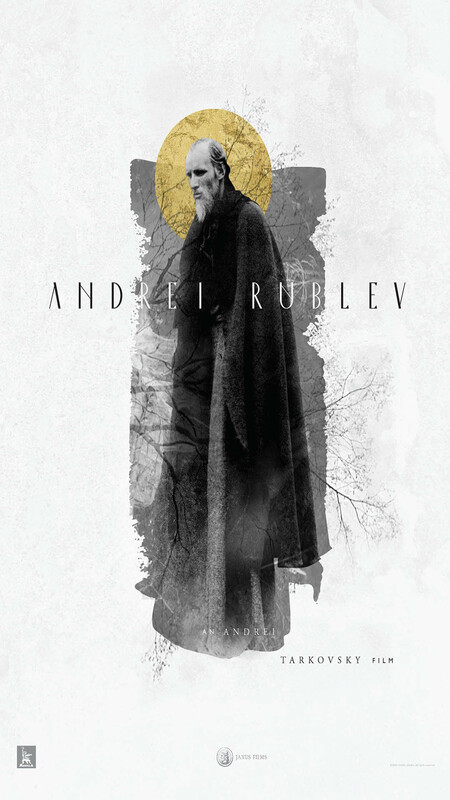 Appearing here in the director’s preferred 185-minute cut the masterwork Andrei Rublev is one of Tarkovsky’s most revered films, an arresting meditation on art, faith, and endurance.